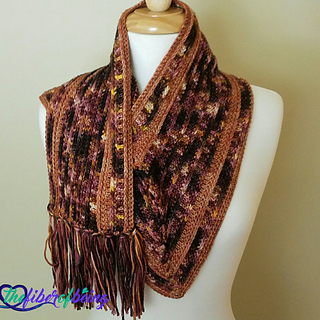 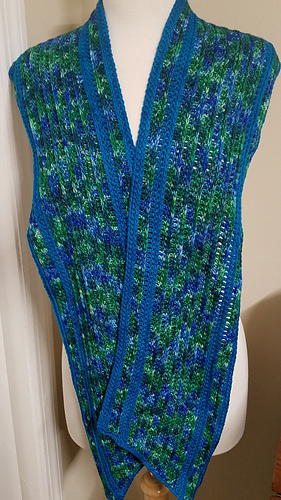 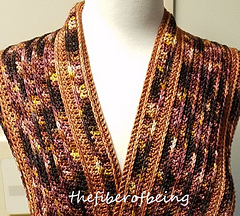 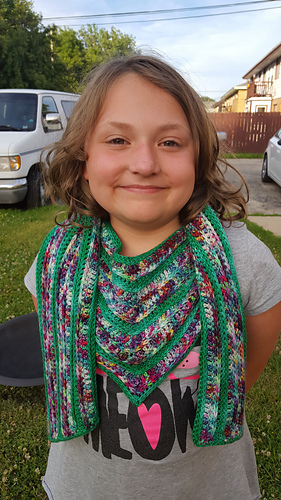 Due to popular demand, the latest version of the pattern includes instructions for a worsted weight version. 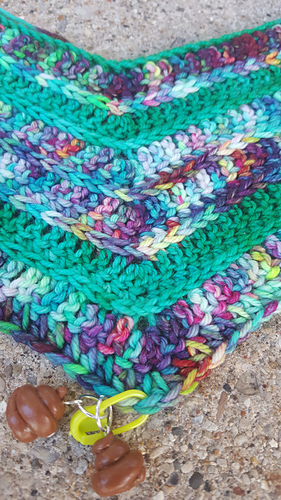 DK Version uses approximately 475 yards, and the worsted version uses approximately 582 yards. 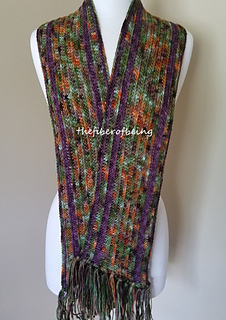 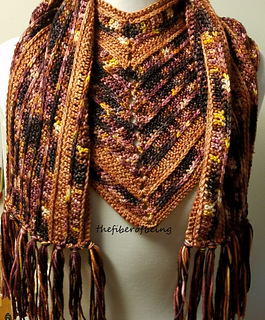 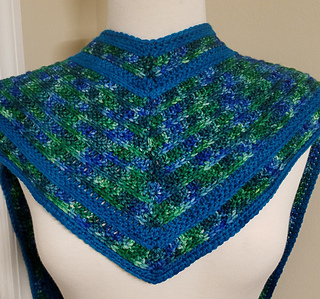 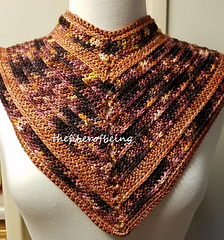 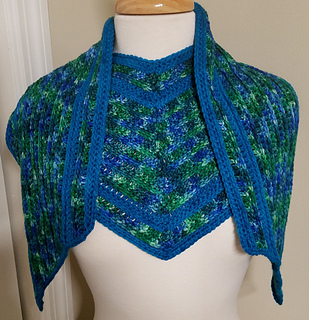 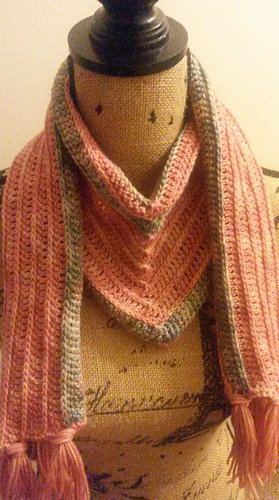 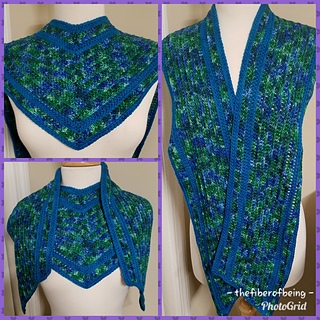 One size, uniquely designed to double as a shawlette.